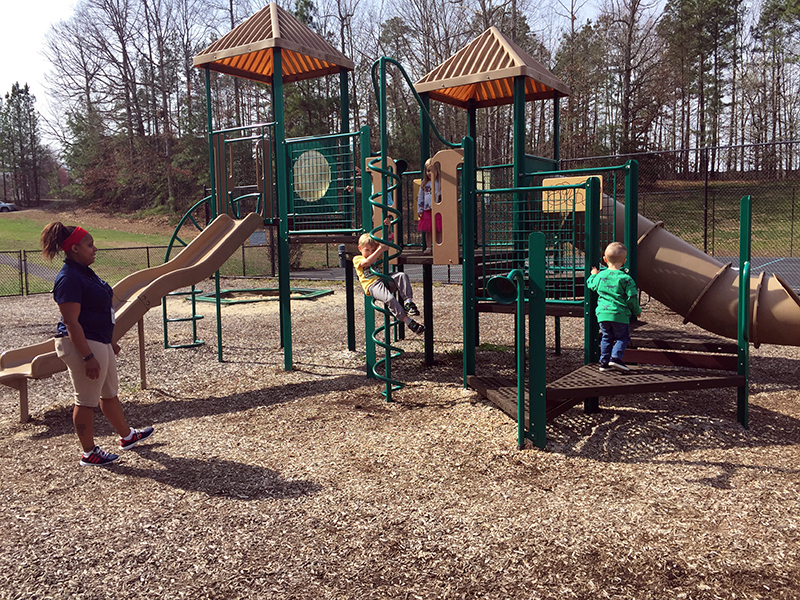 Kid Zone – Woodlake: Life on the Lake! Kid Zone is a FREE service available to indoor fitness and tennis members. Drop your children (ages 6 weeks and up) off for a day of fun while you exercise! For reservations, call 804-739-3454. We also offer a monthly Kids Night Out event, a pajama party with crafts, a movie, and game fun! Kids Night Out is held on the 2nd Saturday of every month from 4:30pm-7:30pm. Pizza is served! Ages 3-11. $10/child. - Pin the tail on the rabbit! - Limbo, Freeze Dance, YMCA & more! 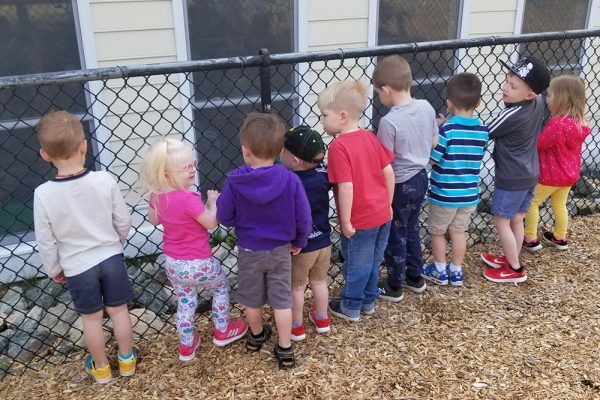 It’s Finally Time to Play Outside! 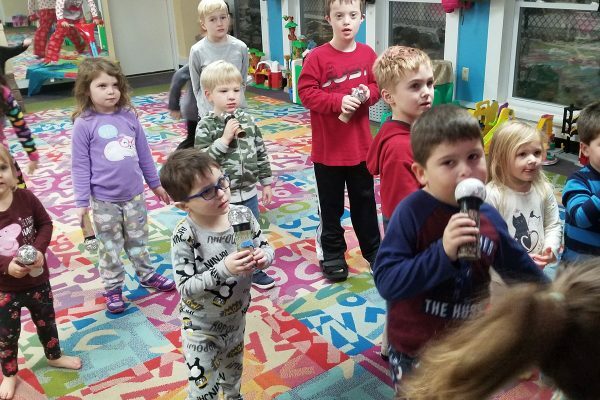 A Singing Good Time in the Kid Zone! All of our childcare providers are adult, child and infant CPR/AED certified. When making reservations please indicate the age of each child. Our Kid Zone cares for children ages 6 weeks to 12 years of age. The Kid Zone is included to resident and non-resident paying members with year-round memberships. 1. Reservations may be made up to three days in advance. If you are unable to keep your reservation, contact the front desk no later than 8:30 a.m. on the morning of your reservation so we may contact members on the waiting list. 2. Age and Hour Ranges: Children aged 19 months and older cannot exceed 2 hours per day; infants/babies 18 months and younger cannot exceed 1.5 hours per day. 3. Parents must remain on club premises while the child is in the Kid Zone’s care. You may use the trails, tennis courts and Cycle and Barre Center if you take a cell phone with you and leave your phone number in case of emergency. 4. Parents are welcome to stay up to 15 minutes to get their child acclimated. 5. Do NOT bring a sick child to the KidZone, employees have the authority to deny access if a child appears sick at drop off. If a child becomes ill while in the Kid Zone, the parent will be notified to pick up their child immediately. 6. If a child cries for more than 10 minutes, the parent will be called to comfort the child. 7. If a child bites or hurts another child, an incident report will be completed by the caregiver, with the parent of the child being asked to take the child from the Kid Zone that day. If the child bites or hurts another child a second time, they will not be able to use the Kid Zone for up to 3 days. After a third time, the child will not be admitted into the Kid Zone for up to 10 days. 8. There is no food allowed in the Kid Zone but water and bottles for infants are permitted however please attempt to feed your infant prior to visiting the Kid Zone. 9. Parents must provide proper identification on diaper bags and other items left in the Kid Zone. 10. Parents must provide wet wipes, bottles, diapers and other necessary items for the care of infants as well as specific instructions, if any, to the caregiver. 11. If a child is potty training, has an accident and needs new clothing, the parent will be notified to change them. 12. All children are to be picked up in a timely manner. To prevent overcrowding, please keep within the time restraints that you scheduled with your reservation. 13. Wet bathing suits and swim diapers are not permitted in the Kid Zone. 14. Guest Policy: All guests of KidZone must book appointments before entry. A guest pass must be used for the child and the parent if they are checking into then facility as a guest of a member. Additional guest passes can be purchased at a fee of $5 paid at the front desk. Non-members using promotions that include guest passes to access the facility are able to use KidZone by appointment. 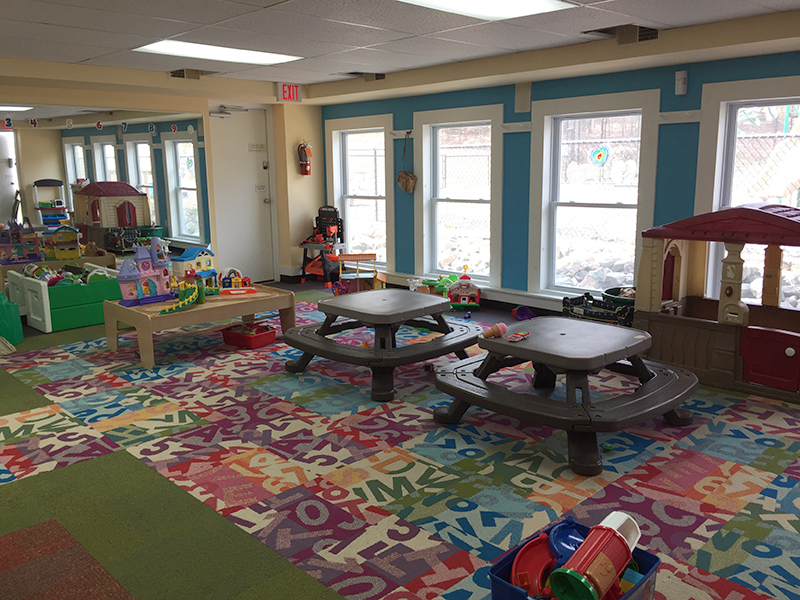 Woodlake Swim and Racquet Club is a private club providing childcare services solely to its members. This statement of policies and guidelines is a framework for provision of services but it is not binding upon the Club. The Club may refuse to provide or to continue providing service to any child in its sole and absolute discretion without regard to provisions of these guidelines, when, in the sole discretion of the Club, circumstances warrant that be done. Kids must be able to swim independently. Call the AFC front desk at 804-739-3454 to reserve a spot. 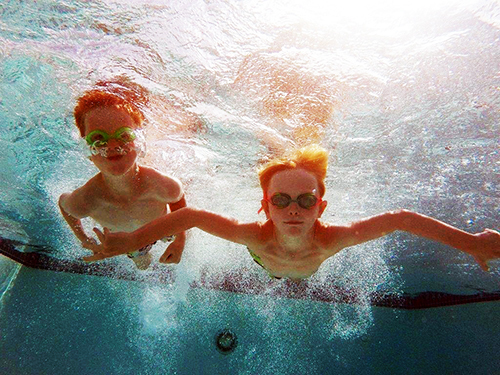 Our Kid Zone staff will supervise free swim and organized pool games (including diving board and slide time).